Good old British weather permitting, digging over any plots that haven’t been dug is a useful start to the year, harvesting any leeks and parsnips you have grown as you go. If you like to have home grown lettuce in the winter months you can sow every two weeks in succession, indoors or in a heated greenhouse or frame at about 13°C (55°F). You can do the same for early cabbage, cauliflower, mustard and cress. For early peas, place a cloche over the growing area on your plot for a few weeks to let the soil warm before sowing. Keep some egg boxes handy for chitting early potatoes – that’s encouraging the seed potatoes to sprout before planting out. Place them somewhere warm and light in a temperature of around 8C-10C and frost-free. Try Charlotte for the best mash. Why not have fresh mushrooms to hand with an indoor mushroom growing kit? Kids will love it and you can use the spent mushroom compost in your borders afterwards. Make a plan of your vegetable crop rotation for the coming year and if you fancy broad beans and peas, sow in succession in that sheltered position towards the end of the month. 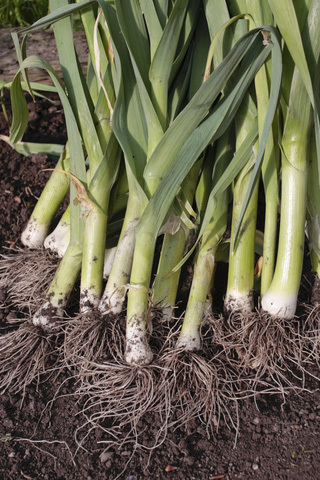 Some thoughts for the diary for next year: crops in season in January include broccoli, Jerusalem artichoke, Brussels sprouts, celery, cauliflower, kale, leeks, parsnips, turnips, endive, spinach, Savoy cabbage. Make a hot bed with manure or grow cauliflowers, radishes and other early crops in a warm, south-facing position.